Allure Vein Center of Southgate offers a number of vein procedures to help you look and feel your best. With five locations across metropolitan Detroit, Allure Vein Centers provide vein treatments like endovenous laser treatment, sclerotherapy and varicose vein removal. Dr. Charles Mok and his professional team of cosmetic surgeons and providers offer a patient-centered approach in a safe and private environment. 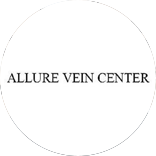 Allure Vein Center of Southgate is focused on providing high quality patient care. If you are interested in vein treatments in the metropolitan Detroit area, Allure Vein Center of Southgate is the perfect place for you! Allure Vein Centers is offering free vein screenings at all locations May 4 through May 8, so schedule a free consultation and screening at Allure Vein Center of Southgate today!